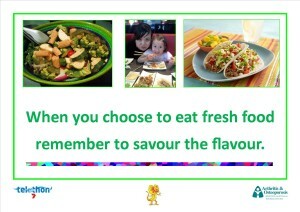 To make food choices that will help you to live a healthier life you need to practise making good food choices. You know that you need to look after your health. The problem is how to do it! Set yourself some goals regarding these aspects of health. 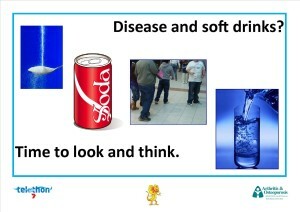 drink more water: not drinks containing sugar. This simple strategy will improve your help and save you heaps of money – work it out. 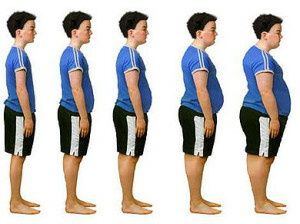 eat calcium rich foods as you only have until you are about 28 to increase your calcium and then you begin to lose it. Osteoporosis may not occur until you are older but it is painful and may stop you from being active. Reduce your salt and fat intake. Chips are very high in salt and fat. If you swap to low fat foods make sure that the fat hasn’t just been replaced by sugar! If you think you are not a fan of vegetables, find sneaky ways to put them into your foods – add them to pasta and they are pretty invisible. Fast foods may be quick, easy and relatively cheap but the cost to your health is enormous – high cholesterol, blood pressure (both of these require medicines that are not always free). Often the bread contains sugar which it has been proven is addictive. Alcohol is not only damaging to your long term health, it can lead to road accidents, violence and poor decision-making. Protect yourself from sunburn and extreme exposure. Skin cancer can require extensive surgery. If you smoke anything, give it up. It can cause cancer of the tongue as well as many cancers. Surgery for cancer of the tongue and/or throat can make you look very different from the way you look now. It, too, is expensive and becoming even more expensive. Make sure that you are safe at all times: wear appropriate safety equipment, play sports safely, follow the road rules. Do your family a favour – prepare a healthy meal once a week. Think how great it will be for your family when they return home after an exhausting day and find that the potatoes and onions are peeled or the dinner is ready! There are some revision sheets below. They revise vocabulary and definitions related to food and also demonstrate the ways in which various layouts can help you to learn what you need to learn. 3. Word definitions – writing your own definitions. These definitions are in your own words and check that you understand the information. These sheets do not need to be done at the same time. They are good for revising for different assignments and tests. Food is essential for growth, development and repair. A wide variety of foods should be eaten. We all need the energy and nutrients that our food provides for our bodies to work properly. We eat to maintain growth and tissue repair for healthy bodies, to have the energy to carry out a variety of activities and to keep us warm. 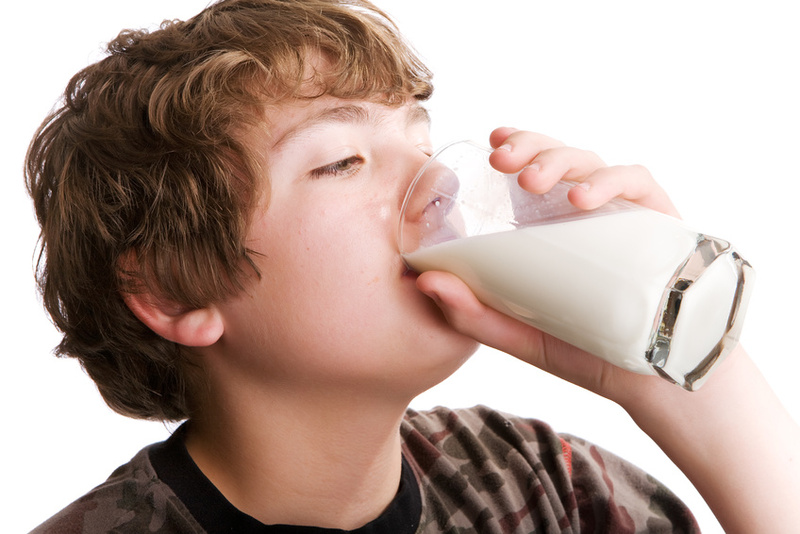 Calcium and vitamin D are needed for the development of strong, healthy bones. Vitamin D is responsible for promoting calcium absorption, improving muscle strength and immune function, reducing inflammation and maintaining sufficient blood levels of phosphorous and calcium to support bone formation, mineralization, growth and repair. Dairy products are rich sources of calcium. Whole, semi-skimmed and skim milk all contain calcium. Other sources of calcium include soy milk and yoghurt with added calcium, lentils, beans, green leafy vegetables and nuts. Vitamin D is manufactured in the skin when it is exposed to ultra-violet light from the sun. Just 10-15mins of sun exposure 3 times a week is enough for the body to produce adequate Vitamin D. However, the rays that cause the body to synthesize Vitamin D are UVB rays. Most of us obtain our vitamin D requirements from this process, and only a small amount of exposure is required. Fatty fish such as tuna, salmon and mackerel are the richest dietary source of vitamin D.
Different foods provide a different amount and selection of nutrients. Some give us energy and keep us warm. Others are needed for growth and repair, to keep muscles and nerves healthy, or are needed for the development of healthy bones and teeth. Our use of energy varies at each stage of our life cycle and needs to be balanced with our intake of food. Calcium is an essential mineral that must be supplied regularly by the food we eat. Most of the calcium in the body, about 99%, is found in the bones and teeth.